Pollution can be a serious problem, but today the issue is addressed almost entirely through government regulation. We want to transition away from that. We want less statutory regulation, and instead more protection through recognition of our personal and property rights. For example, if a mining company or energy company produces pollution that harms people in the surrounding area, those people should be fully compensated, perhaps through a class-action lawsuit. Courts can also issue injunctions when appropriate. In situations where there are multiple sources of pollution, and it’s hard to identify a single “culprit,” courts could find ways to apportion the damages. One of the problems with the existing regulatory process is that it often grants polluters a “right to pollute”: as long as they stay below the regulatory threshold, people who are harmed by the pollution have no recourse. Currently, well-connected special interests dictate the process. Environmental special interests tend to overstate problems, and their power sometimes results in over-restriction that causes economic harm and keeps people from using their property as they would like. 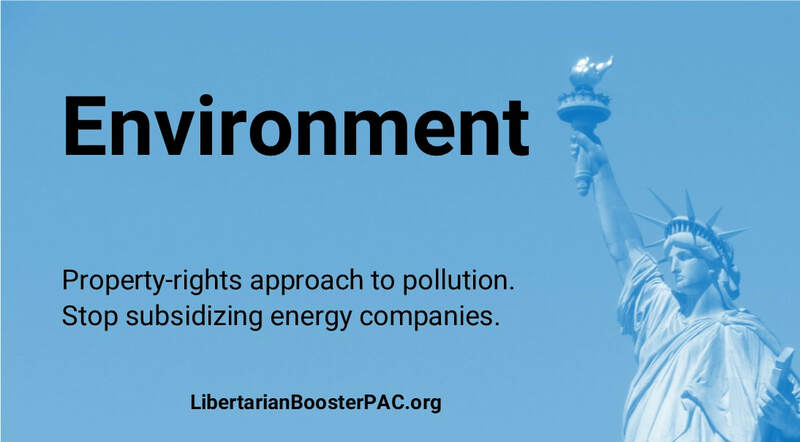 On the other hand, business special interests tend to understate problems, and their power can result in a license to harm people through pollution. Pollution problems can also be addressed by cultural pressure, boycotts, and so on. Unfortunately, because people generally rely on legislators and bureaucrats to “solve” pollution through regulation, it has been difficult to develop these alternative measures. We will never live in a pollution-free utopia. The question is, which approach will mitigate pollution the most, without getting in the way of people’s rights? We believe in an approach focused on robust protection of people’s personal and property rights, that makes polluters liable when they violate those rights. The Virginia legislature has no business subsidizing energy companies. In particular, the legislature should not try to push one form of energy over another. We need a level playing field where consumers can make their own choices. In 2018, the General Assembly made the bizarre choice to subsidize both coal companies and renewable energy companies. That’s good for the bottom line of those companies, but bad for taxpayers. In 2018, the General Assembly passed House Bill 665 to subsidize coal companies, and also Senate Bill 573 to subsidize renewable energy companies.